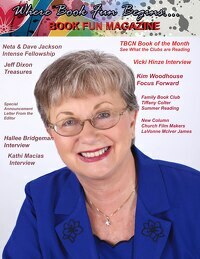 Janet Dean has written the historical fiction book of my heart. I love a hero who must fight past his inner wounds to win the girl. In fact, in Courting the Doctor’s Daughter, Dean writes of two people, wounded by life’s harshness and the failure of those they had depended upon, who come together over the fate of a young orphan boy. Mary Graves, the heroine, raises three sons as a widow, one of which she took in after an orphan-train placement fell through. She assists her aging father’s medical practice, praying and plotting for an assistant to relieve some of her father’s burden. Enter Luke Jacobs, a peddler of tonics—the bane of Mary’s existence. How dare he bilk her beloved townspeople out of their money for his snake oil? What she learns about him, through the layers of his self-defense, and about his medicine, will not only affect her, but set a chain of redemption in motion for all she cares about: her father, her sons, and the people she loves and serves. I loved the way this romance covered topics ranging from disability, to alcoholism, lying, forgiveness, trust, and even anxiety. Dean accomplishes this in a realistic and deeply satisfying way through well-fleshed-out characters who journey through their conflicts to find faith in God, faith in themselves, and faith in one another. This story resonated with me, and I know it will stay with me for a long time to come. In 1855, Elmira opened the first regularly chartered school in the country for women. "The Elmira Collegiate Seminary" had its beginnings in Auburn, NY, (home of William Seward and Harriet Tubmann). Rev. and Mrs. Harry A. Sackett obtained the charter for the school, but moved the plans to Elmira where the idea was welcomed warmly. Situated in the heart of Elmira's north side amidst newly renovated and beautified grounds, Elmira College campus hearkens to its 19th Century roots with lovely old stone and brick buildings named after influential people in its founding, such as Simeon Hall, honoring its founder Simeon Benjamin, Esquire, and Cowle's Hall, after its first president A.W. Cowles. 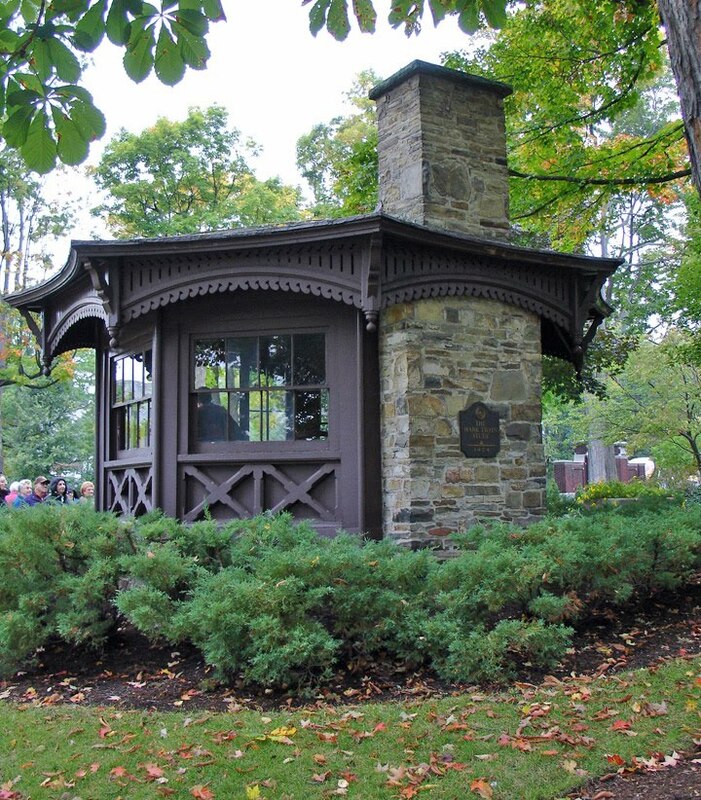 Mark Twain's study is a popular attraction, cresting the slope overlooking a fountained pond. The octagon-shaped bricks that compose the walkway meandering about the pond and campus echo the shape of the famous study used by Twain to write portions of Huckleberry Finn. Also credited with developing the idea for the college is a married couple of physicians who lived on Elmira's East Hill, along Watercure Hill Road. Dr. Gleason and his wife ran "the Elmira Water Cure", a sulphur spring infirmary and resort believed to contain healing properties when it was built in 1852. Because of Mrs. Gleason's remarkable accomplishements for her time as a trained physician, the couple was instrumental in developing and championing the idea of an all-women's college. The Elmira Water Cure was one of hundreds of facilities at the time espousing hydrotherapy, but was "one of the first and longest lived" of the facilities of its kind, according to K. Patrick Ober's book "Any Mummery Will Cure". Hydrotherapy was espoused by the influential Langdons, whose property Quarry Farms bordered the Water Cure to the North. According to Ober, "Hydrotherapy's doctrines went beyond a focus on the role of water as a therapeutic agent, and its committment to temperance and women's reform made it attractive to socially liberal families such as the Langdons. The prominent clientele of the Elmira Water Cure included the likes of Susan B. Anthony, Vice-President Schuyler Colfax, and the mother of Emily Dickinson." I have been trying to decide which direction to take my blog--it's been a bit rambly so far. I have decided to focus on true historic events, people, places, and times, and try to connect them to my locale of the Elmira/Corning/Ithaca/Binghamton, New York area. For starters, a quick review of Elmira's history. Elmira is the county seat of Chemung County, and was officially recognized a city in 1865. It first became settled prior to the American Revolution, and hosted historic camp sights of General Sullivan in his campaign against the American Indians allied with the British. The Iroquois people, more specifically the Seneca, once called this valley home. During the Civil War, Elmira hosted one of three recruitment rendezvous in New York state, since two major railways ran through it. It was considered a transprtation hub, and it facilitated the trasport of trained soldiers to the southern front. Three barracks made up the training grounds, the third which became the infamous death camp of the north, "Helmira". The Elmira prison camp housed Confederate POW's from July 1864 through the end of the war. Many notable historic figures hailed from Elmira, including Jervis Langdon, an abolitionist and reputed patron of the underground railroad, also known as being Mark Twain's father-in-law. John W. Jones resided in Elmira. An escaped slave, he became a conductor on teh underground Railroad to rival Harriett Tubman's involvement, leading over 200 slaves to freedom. Mark Twain himself called Elmira home fro short stretches of time at Quarry Farm on historic East Hill. He penned the Adventures of Huckleberry Finn in an octogon-shaped pavilion at the farm. Thomas K. Beecher, a relative of Harriett Beecher Stowe and Henry Ward Beecher, a remarkable minister and humanitarian in his own right, took up residence in Elmira. Each of these noted citizens will be featured in articles and interviews with local historians to come.